In ancient times people guided sailors by fires built on hilltops. Knowing that the fire would be seen from far away if it was placed on a platform led to the development of the lighthouse. Building of lighthouses like towers, as we know them nowadays, started in 18th century in order to help transatlantic trade. At present operative lighthouses and navigation light equipment worldwide do not number over 1500, and in Bulgaria are 25 of them. Some of these lighthouses are still maintained by lighthouse keepers. They do quite a lonely job with 12 hour shifts unassisted. However, their reward is the unique and marvellous view of the sea expanse. Inner satisfaction is the biggest prize that they receive. "My job is the most important. Can you imagine what is to see the shining beacon after six month sailing in the sea? It means that you warm the heart of someone!" In this way reasoned a lighthouse employee (now deceased) of the Shabla lighthouse says the commander of the northern district hydrography Lieutenant Branimir Rumanetsov. 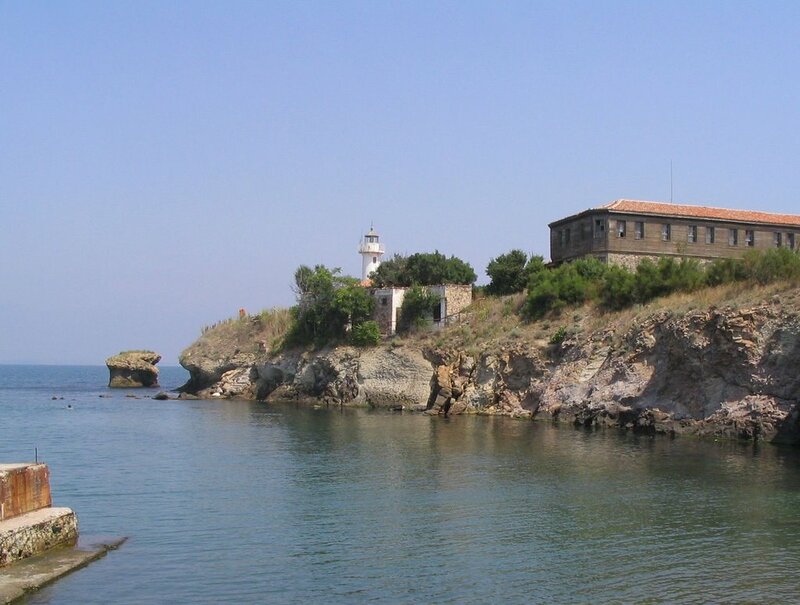 Short story: The oldest lighthouse on the Black sea coast is in Shabla. It was built in 1856 during the Ottoman Empire and it stands on the eastern-most point of the country. The white light from the lighthouse guides and protects marine vessels from collision with a reef nearly 1 mile long under the camping site Dobrudzha shoal sand between Cape Shabla and Tulenovo village. Short story: The lighthouse in Kaliakra is built on a razor-thin coast and together with the height of the cliff, it rises 68 meters over the Black sea. The cape is a popular tourist attraction, because it’s a nature reserve where many rare birds can be seen. Short story : Nos Galata is a prominent cape at the south side of the entrance to Varna Bay and this light serves as the city's landfall light. The light station was built in 1913 and 2 years later during World War 1 it was damaged by shelling from the Russian cruiser Empress Maria, but it was repaired after the war. 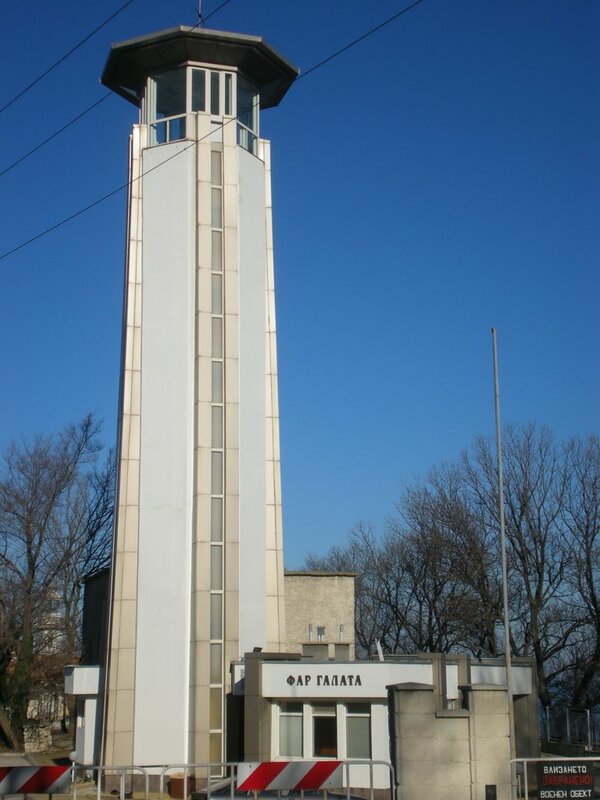 You can see it and will learn more about this light house if you visit the Free Varna Tour. Short story : Cape Emine is a cape projecting into the Black Sea about 20 km northeast of Nessebar. 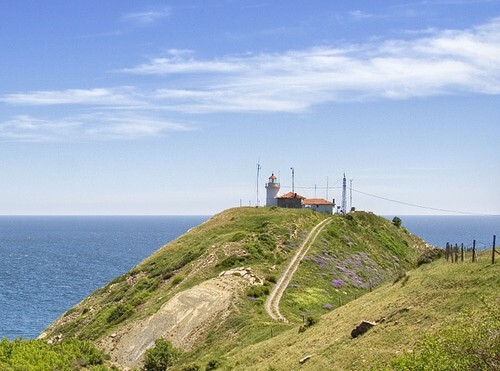 The lighthouse in Cape Emine is one of the most beautiful of all the Black sea lighthouses. It’s situated near the picturesque village Emona. Structure: white, round tower with grey metallic lantern dome. There is also a one storey keeper’s house. Short story : Sveta Anastasiya is a small rocky island that rises from the sea 3.5 miles east of Burgas. The lighthouse is located on the north end of the island. It is accessible by passenger ferry from Burgas. It has started to operate on the 13th of June 1914, and its electrification was done in 1932. Another interesting fact about the island is that it was the site of a convent, and later converted to a prison. Structure: round tower with lantern and gallery, attached to a small equipment cabinet. A keeper's house is nearby. Light Distance: The white light that it radiates can be seen from 18 miles out at sea. 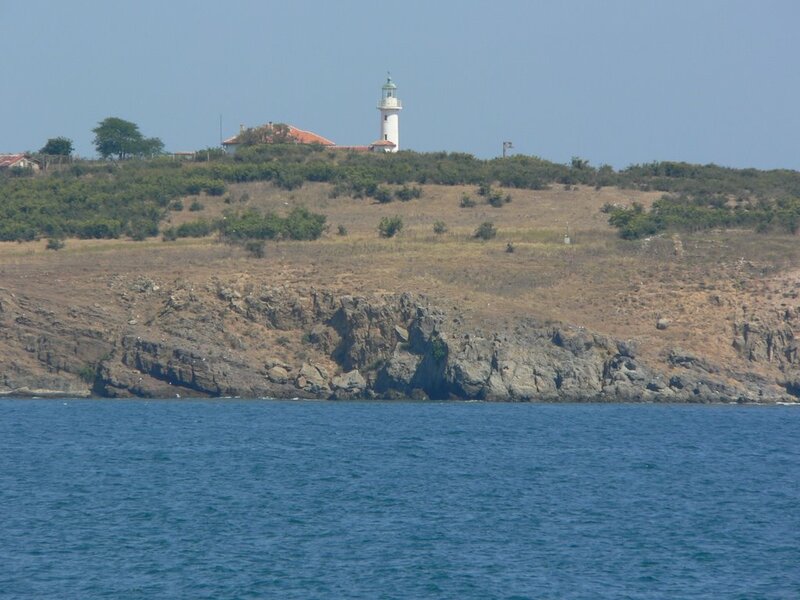 Short story : The lighthouse is located on the biggest Bulgarian Black sea island Saint Ivan. 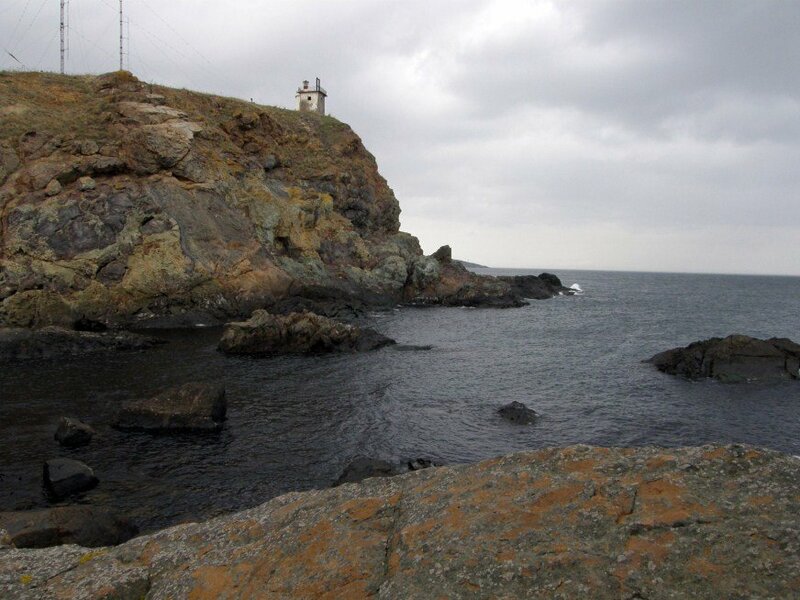 The rocky island is one mile north of Sozopol and there is scarce vegetation. This isolation helps the preservation of the lighthouse white tower built on the ridge of the eminence. Saint Ivan can be reached by a boat from Sozopol. The lighthouse was built in 1911. The island is famous for the ruins of a 12th century monastery. The remains of a second century Roman lighthouse on the island, found by an archeologist are of importance for the island history. Light Distance: It’s 37.5 m above sea level and the white light from it has range of 17 nautical miles (NM). Short story: This Cape is the eastern-most point of the Saddle Mountain beach, which ends here on a peninsula. 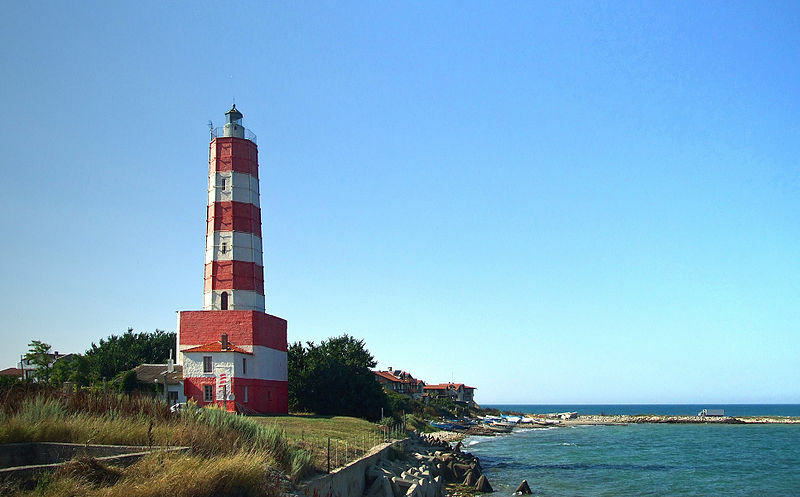 The lighthouse is situated 7 km north of Primorsko. The name of the cape is given because in ancient times many Greek ships were wrecked here on the sharp rocks and sank. Most of the ships which had sank had carried amphorae with olive oil which made the shipwreck clearly visible, therefore Maslen nos (maslo = oil, nos = nose, cape) recieved its name. Nowadays, in the technological world that we live in, the sea lighthouses aren’t used as much, but still they hide their charm and evoke admiration.